Consumer attitudes toward clean energy technologies in America rebounded strongly in 2013 to reach their highest levels since 2010, countering several years of declines in favorability ratings between 2009-2012. 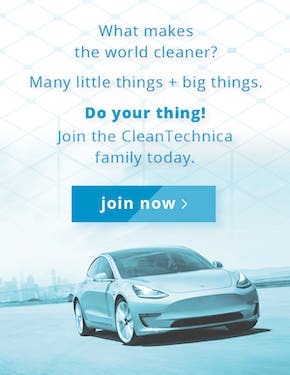 This good news comes from Navigant Research’s 2013 Energy and Environment Consumer Survey, and indicates clean tech may finally be established as a preferred option for consumers despite high-profile conservative attacks. Overall support for clean energy swung from 2012’s low of 44% to a 51% average favorability in 2013. In fact, out of ten technologies ranging from clean energy to clean transportation to energy efficiency, only one – nuclear power – declined in popularity over the past year. Navigant’s survey is the latest in an annual series dating back to 2009, and surveyed over 1,000 people in representative samples across the U.S. during the fourth quarter of 2013. Respondents were asked to share their feelings about each technology and their replies were then compared to previous years to show trends. Without a doubt, this year’s headline simply reads: renewables rule, especially solar. 79% of respondents favored solar energy, a 10% surge compared to 2012 and just under the all-time high of 81% in 2009. 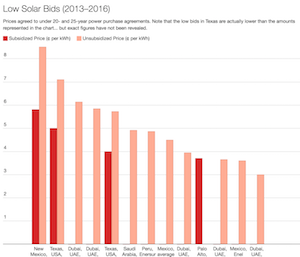 Solar energy also had the lowest unfavorable rating at 6% and the highest “very favorable” rating at 50% – not a surprise if you consider 2013’s record-setting pace for new US solar installations. Wind energy ranked second overall out of all surveyed technologies, coming in just behind solar in overall favorability (72%), “very favorable” (42%), and unfavorable (7%), despite the controversy over renewing the Production Tax Credit. 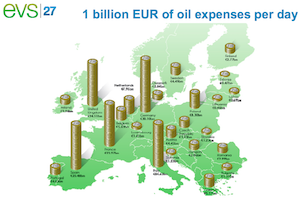 When combined, these two renewable energy technologies appear to have cemented themselves among Americans. “Consumers consider these renewable energies to be important pieces in the power generation portfolio of the future,” says the survey’s white paper. But positive attitudes toward clean energy aren’t just limited to our power sockets – they also extend to our highways and byways. 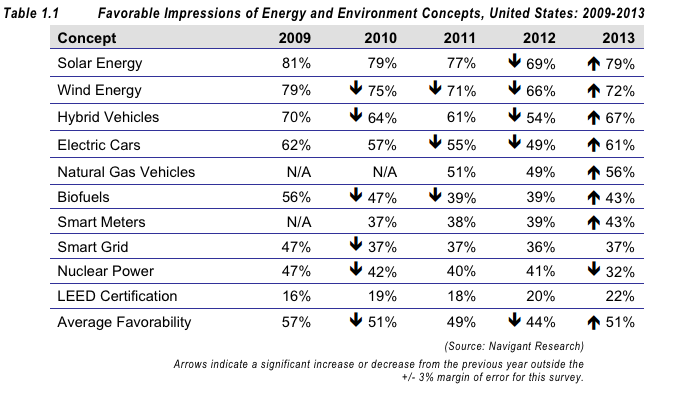 Clean transportation options pulled ahead of the pack in 2013, led by hybrid and electric vehicles. 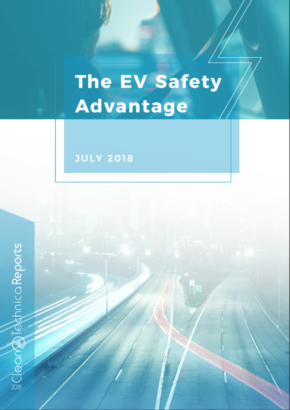 Hybrid vehicles ranked third in overall favorability with 67% of consumers supporting them, up an incredible 13% from 2012, and third lowest with just an 8% unfavorable response rate. Interestingly, the bulk of unfavorable responses for hybrids came from those with a high school degree or lower education. 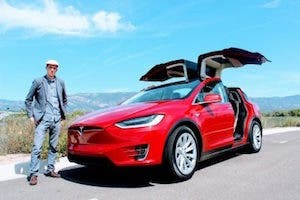 While electric vehicles came in just behind hybrids at 61% favorability, they jumped 12% from just a 49% approval rate in just one year, hinting the increasing number of EVs on US roads could be making them more attractive to drivers. 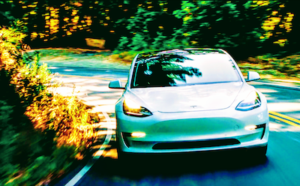 Ironically, the same trend of consumers equating more solar panels and more EVs on the road to higher approval ratings may be the reason smart grid and green building concepts continued to rank poorly. The concept of a smart grid was viewed favorably by just 37% of respondents, but unfavorably by just 6% of consumers – the same negative rank as solar energy. 57% of consumers said they either didn’t have an opinion or were neutral on smart grid technology, meaning the potential for support exists but educational efforts are lagging by utilities. Smart meters in particular also showed the same trend as smart grid in general, with 43% viewing them favorable and 10% viewing them unfavorable but 47% saying they were neutral or unfamiliar with the technology. This trend was most apparent, however, when it came to LEED certification. A massive 72% of all respondents said they were either unfamiliar (41%) or had no opinion (32%) of green building. 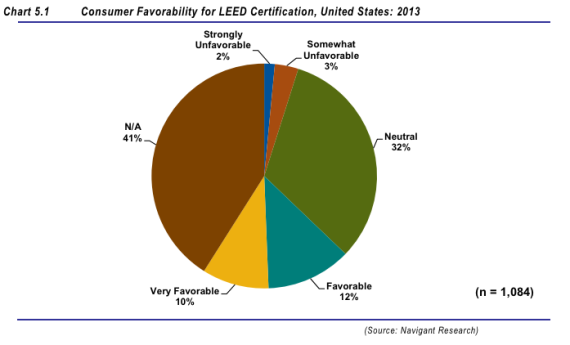 While this is somewhat surprising considering green buildings could be half of all US construction by 2016, the potential is still bright considering those who knew about LEED supported it at a 4-to-1 ratio. 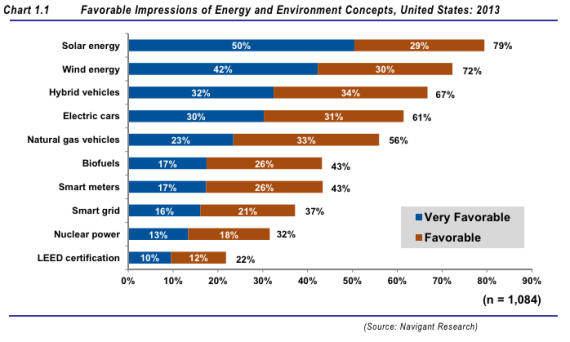 Navigant’s annual survey generates multiple possibilities in the evolution of consumer support for clean energy technologies, but the underlying story is clear: When people learn about clean tech by seeing it in their everyday lives, they support it in large numbers. That’s a powerful message to throw back at fossil fuel proponents or poorly informed media reports that argue support for clean energy is a mistake, and is a good omen for our potential to decarbonize and build a sustainable future.